In this lesson, we will learn how to divide by 4. Fill in the blank: 40 is a multiple of 10 therefore 4 0 = 1 0 × . A teacher wants to share 6 pencils and 8 rubbers equally between 2 students. 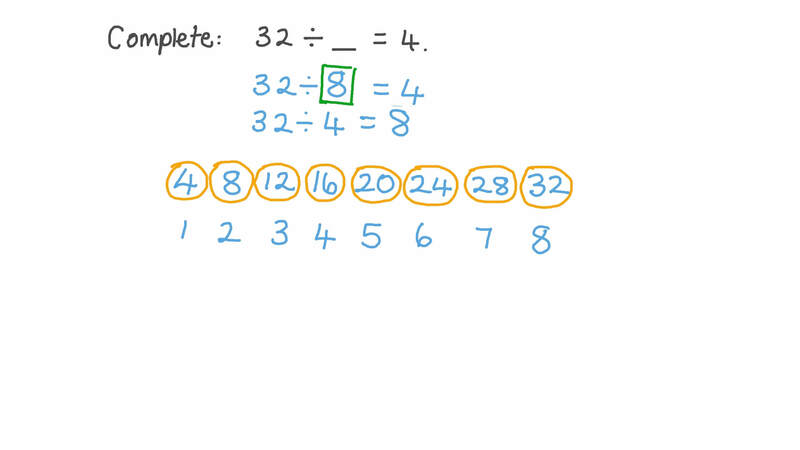 Use the ÷ symbol to write an expression for the number of pencils each student will get. Then write an expression for the number of rubbers they will each get. 28 children want to have a water balloon fight. They decide they will be in teams of 4. How many teams will there be? Sarah has made 12 sandwiches that are going to be put on plates. She wants to put 4 sandwiches on each plate.